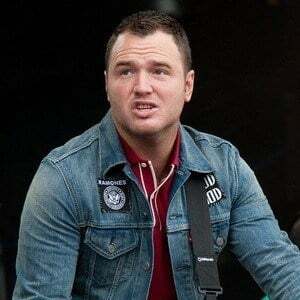 Lead guitarist, composer, and founding member of the pop punk band New Found Glory. His band became known for songs like "Catalyst." In 2010, he also began releasing solo music online for free under the name What's Eating Gilbert. He was recruited to join New Found Glory by the three friends who started the band. Also a producer, he has worked on H2O's Nothing to Prove and A Day to Remember's albums, Homesick, What Separates Me from You and Common Courtesy. He was briefly married to musician Sherri Dupree in 2007. In February 2016, he married Paramore's lead singer Hayley Williams; however, in July 2017 they announced they were splitting. He wrote the song "Hit or Miss" for American Pie 2, a film that starred Jason Biggs.